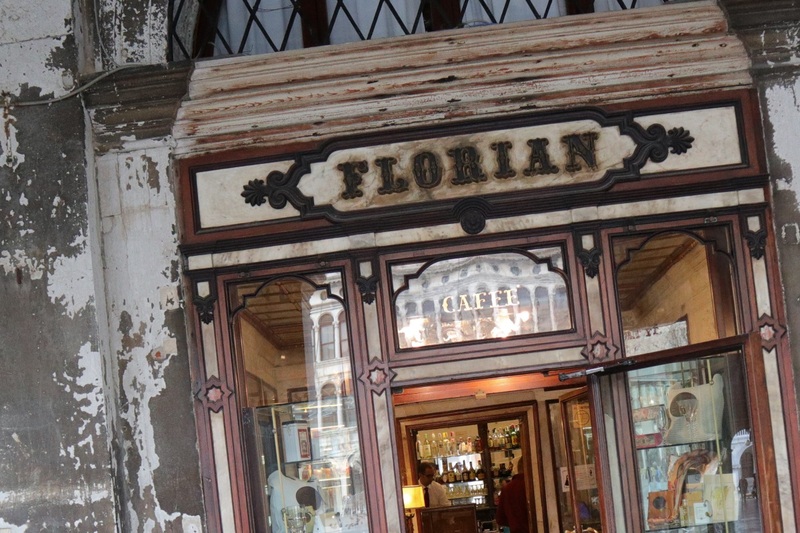 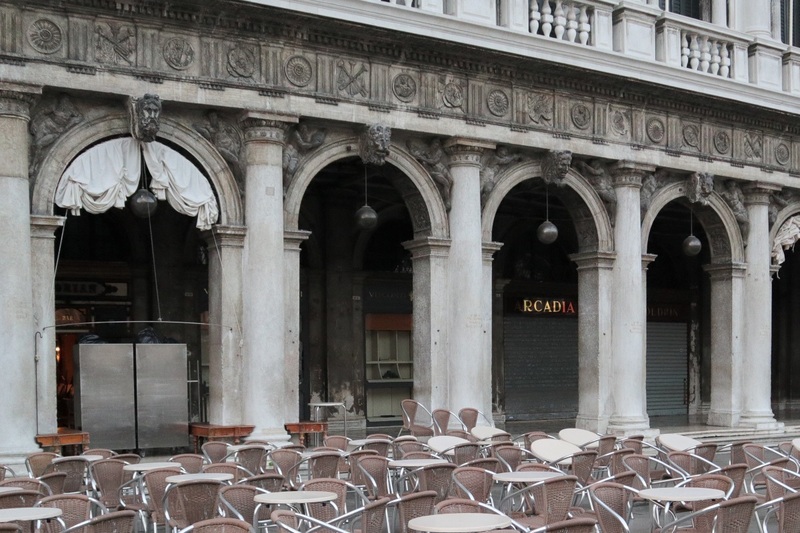 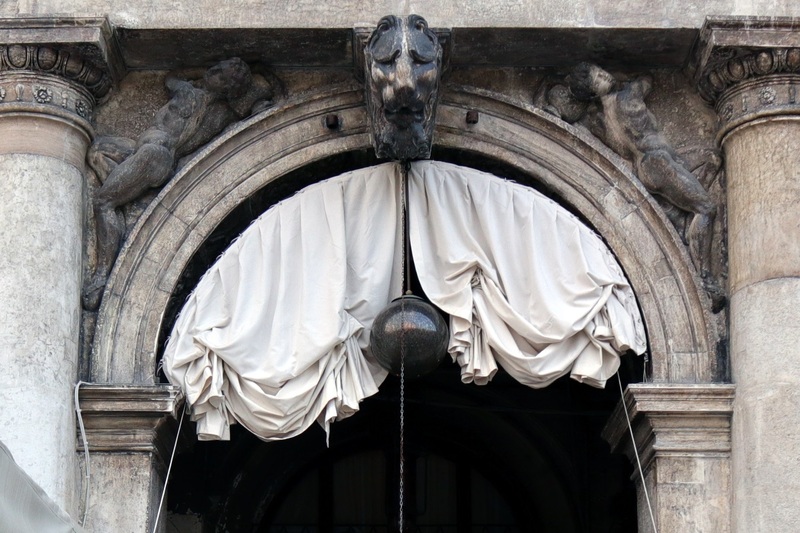 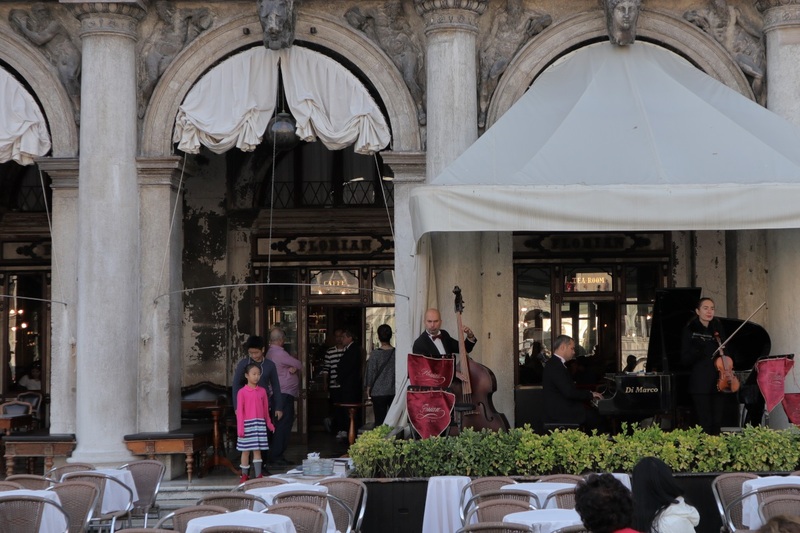 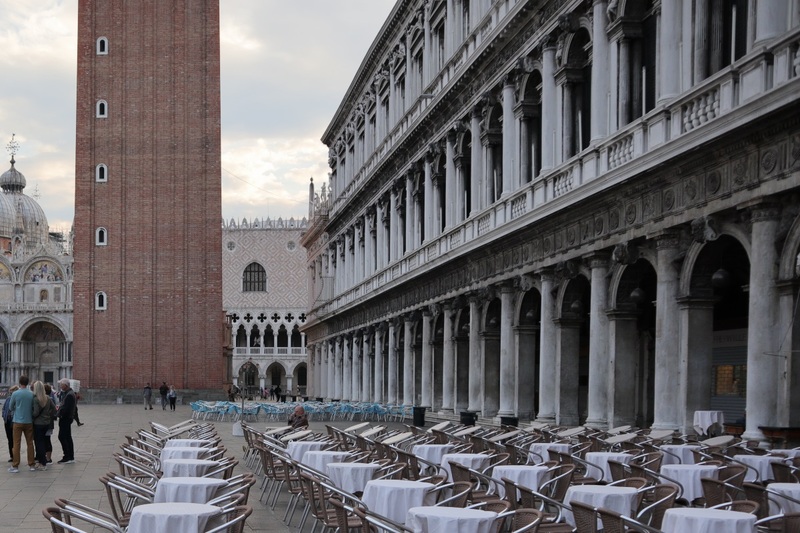 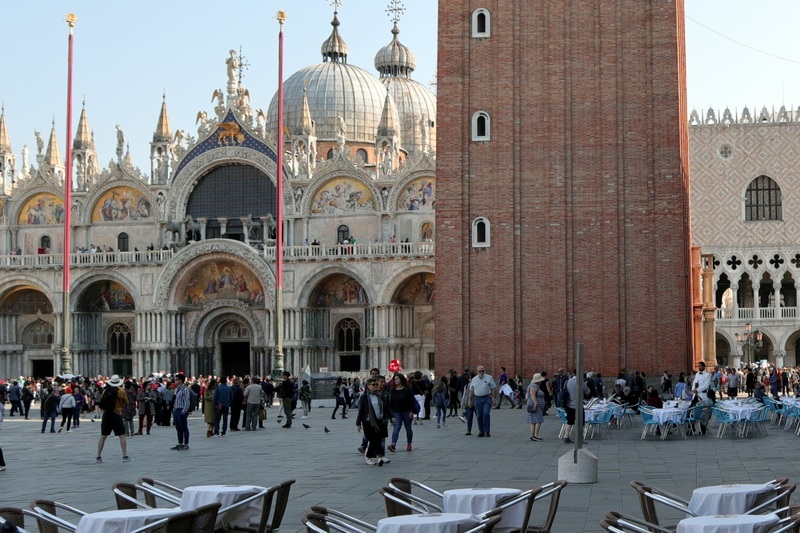 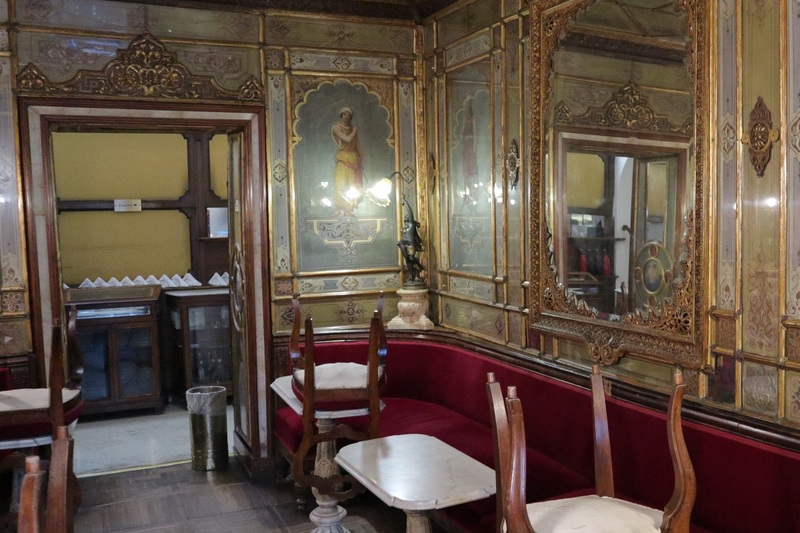 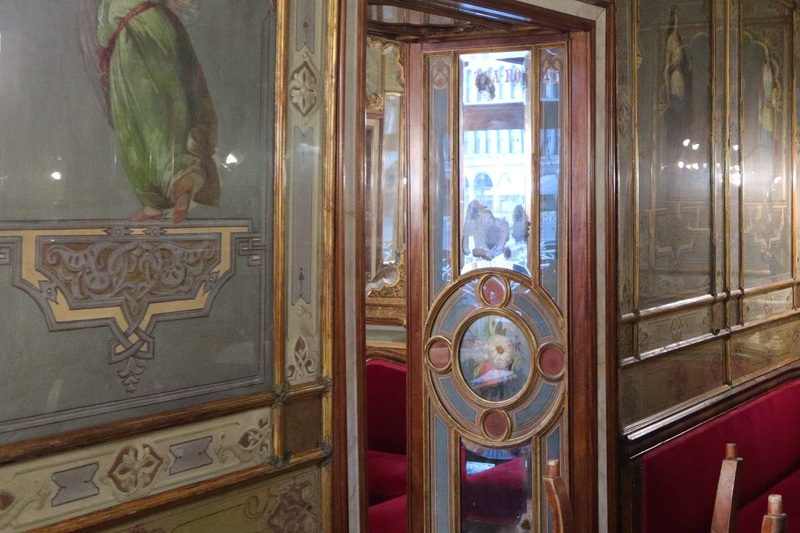 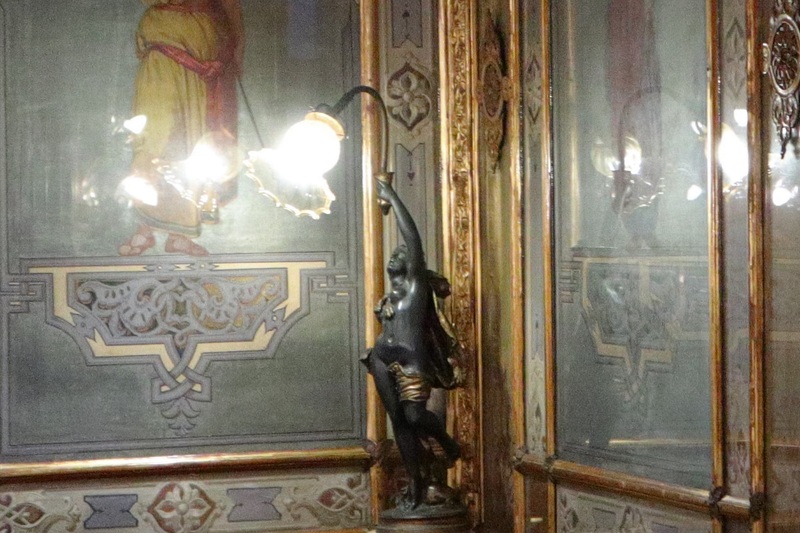 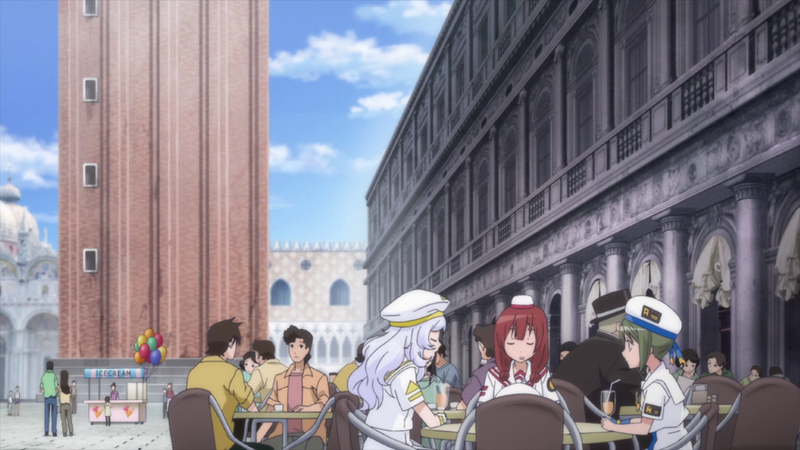 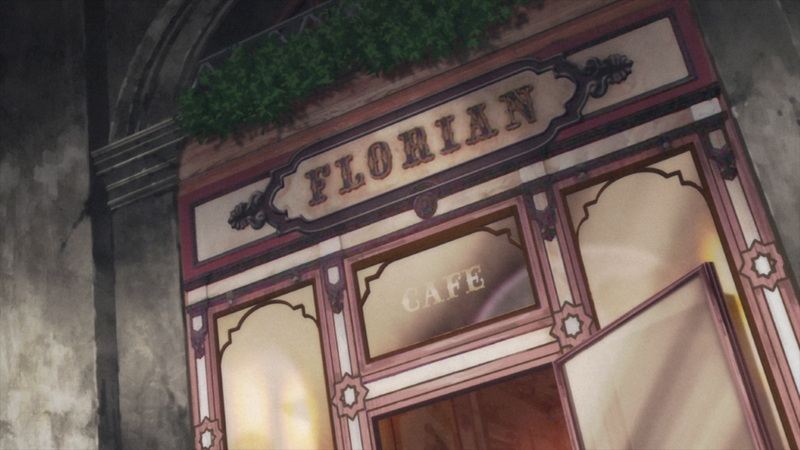 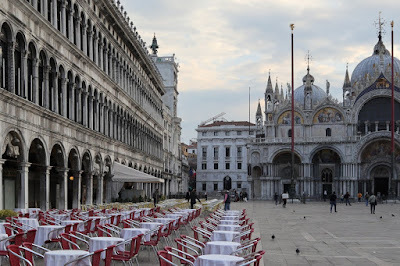 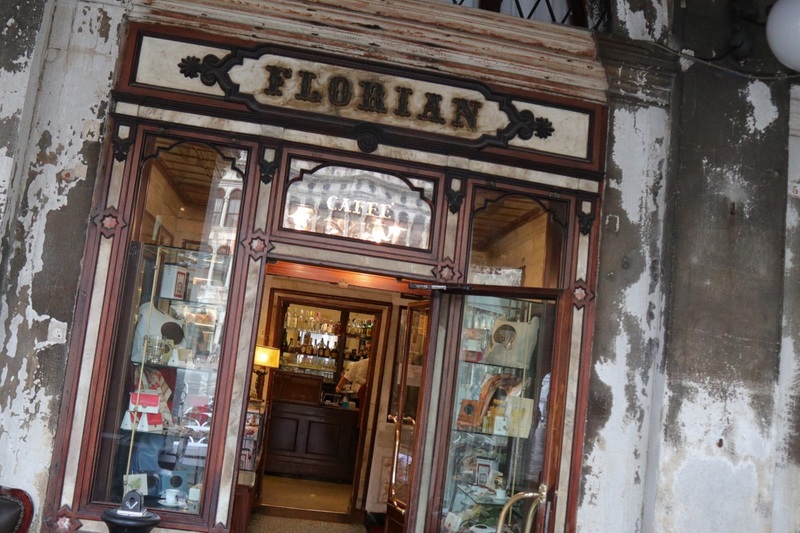 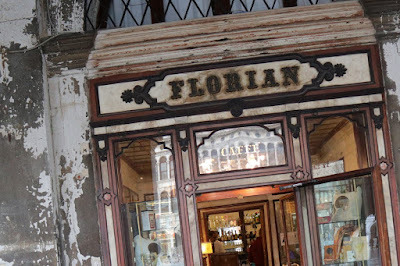 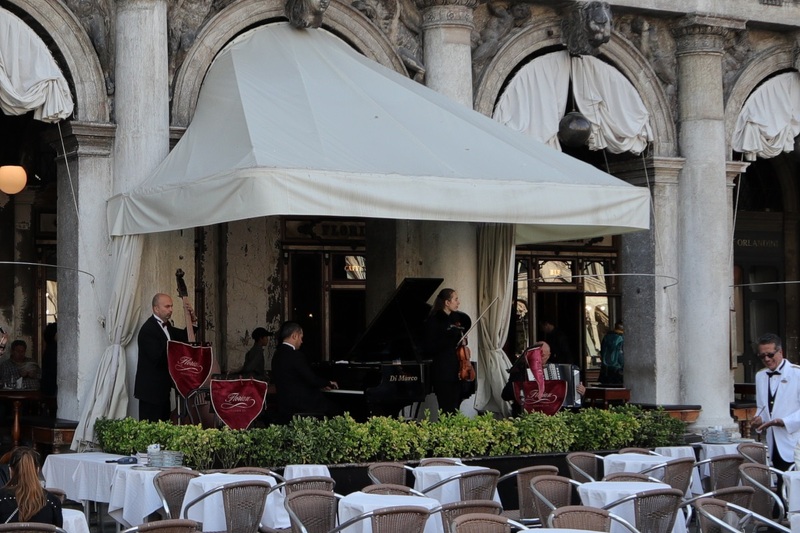 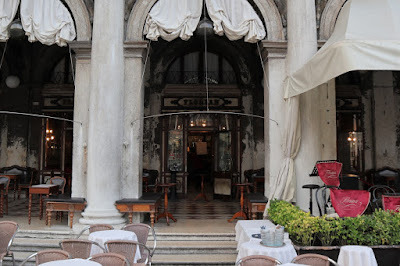 At Saint Mark's Square there's a café called Caffè Florian that's also shown in several episodes of Aria. Lots of tables outside. 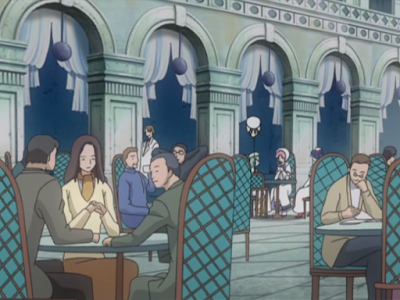 The chairs are not as fancy as in the show though. This is actually on the other side of the square from where Caffè Florian is located. There's another café called Gran Caffè Quadri here. Back on the Caffè Florian side. 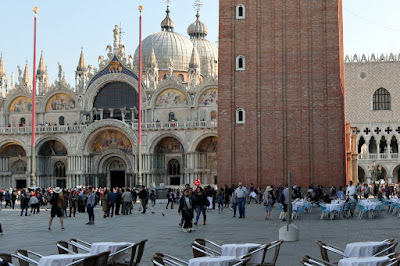 You can see both the Saint Mark's Basilica and Saint Mark's Campanile in the background here. Café entrance as seen in the third season. 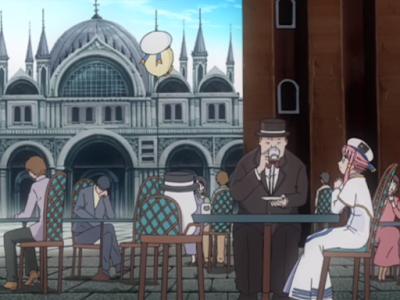 They sit inside the café in this season. 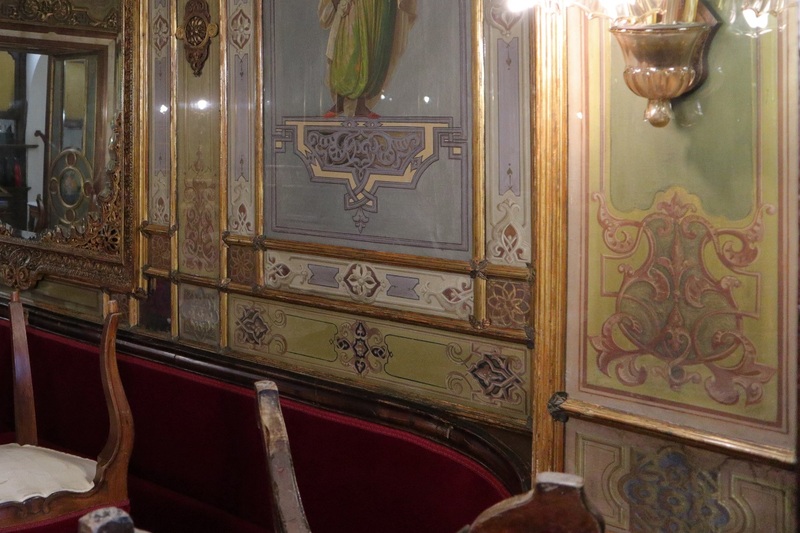 This room is called the Sala Orientale. I didn't get to go inside, but luckily the windows were opened so I got some pictures. The decorations on the walls matches. 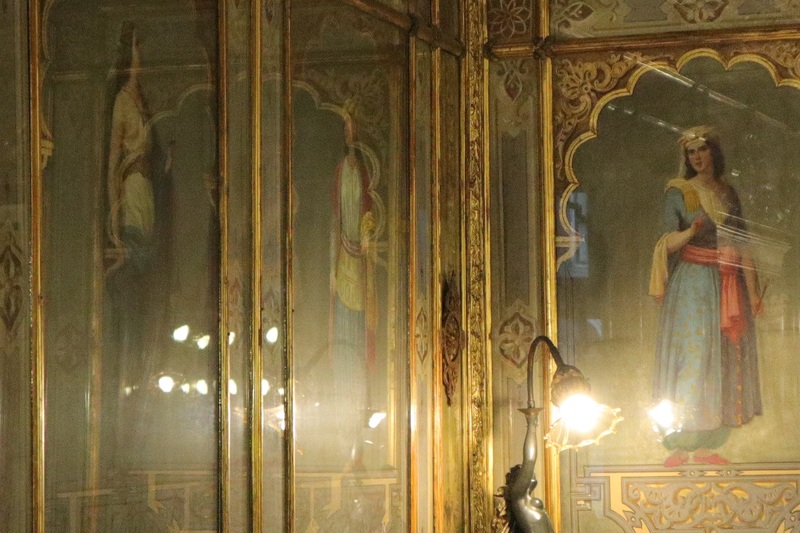 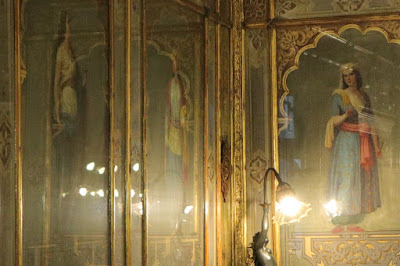 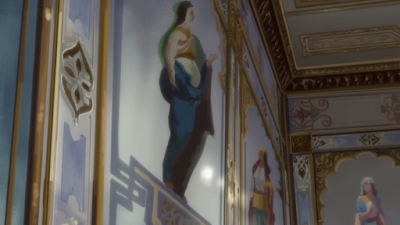 All these arches got different figureheads. 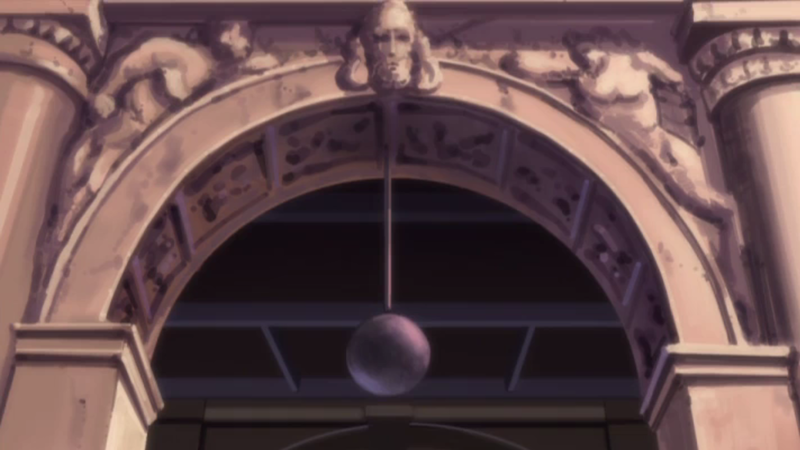 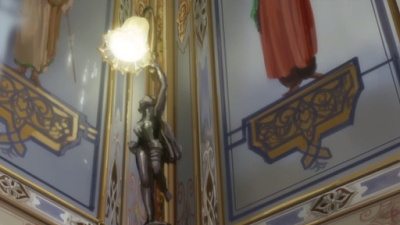 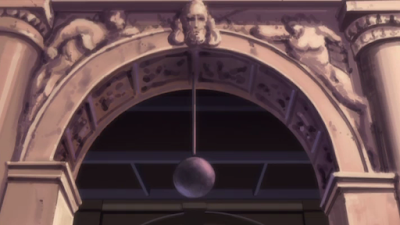 This picture is of the wall on the left in the anime shot. 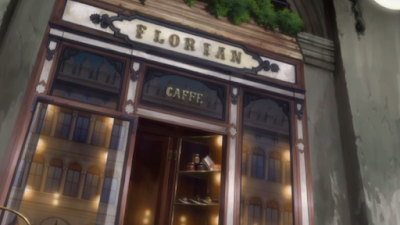 More decorations behind the Caffè Florian owner here. 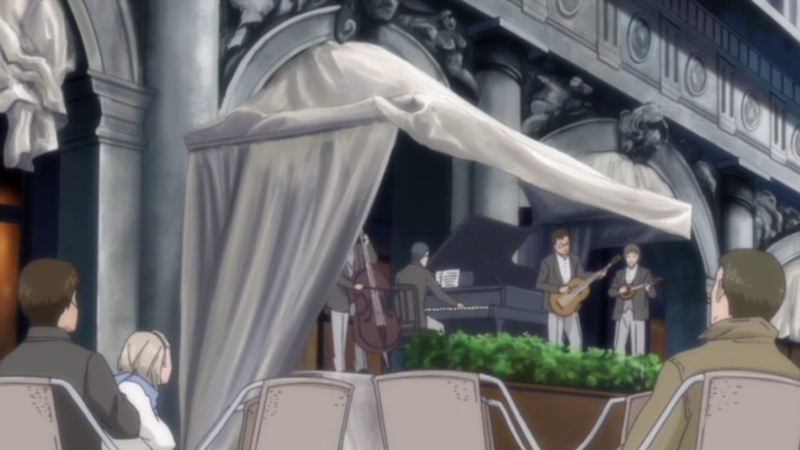 Outside they have a live band playing music. 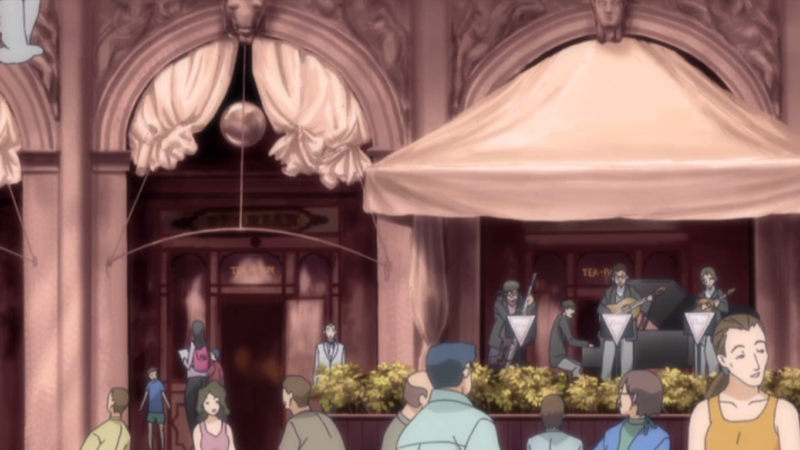 The entrance is on the left here next to where the band is playing. Another shot of the band. 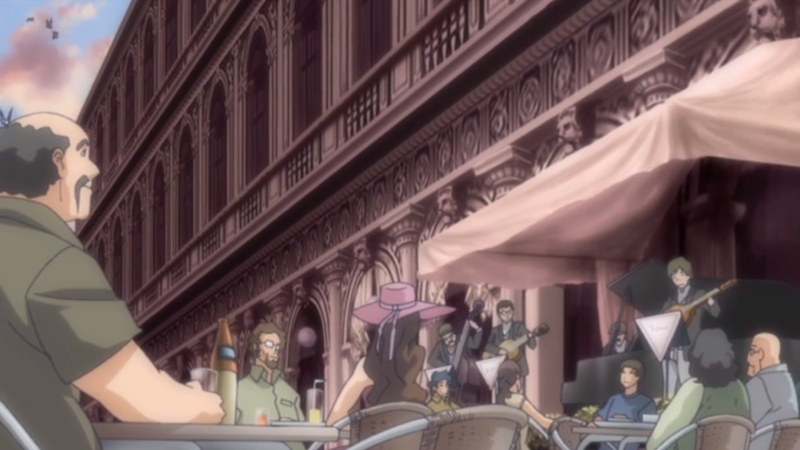 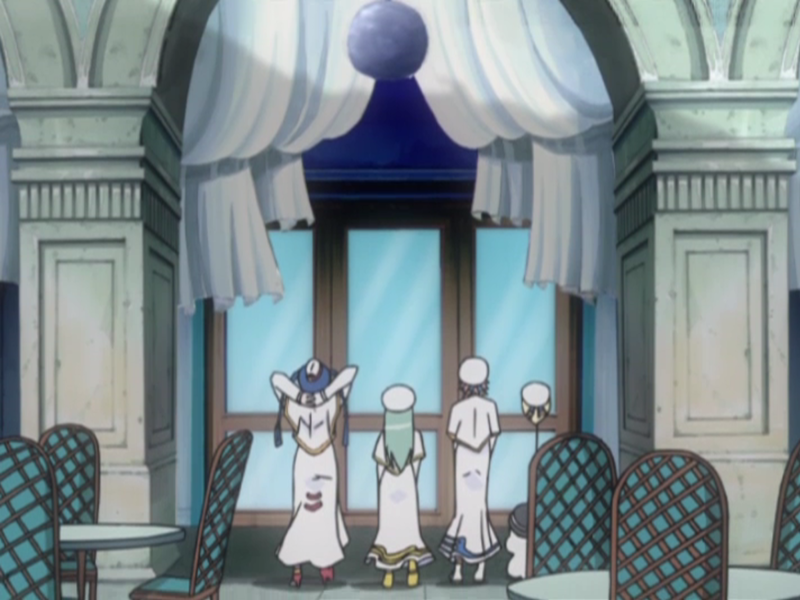 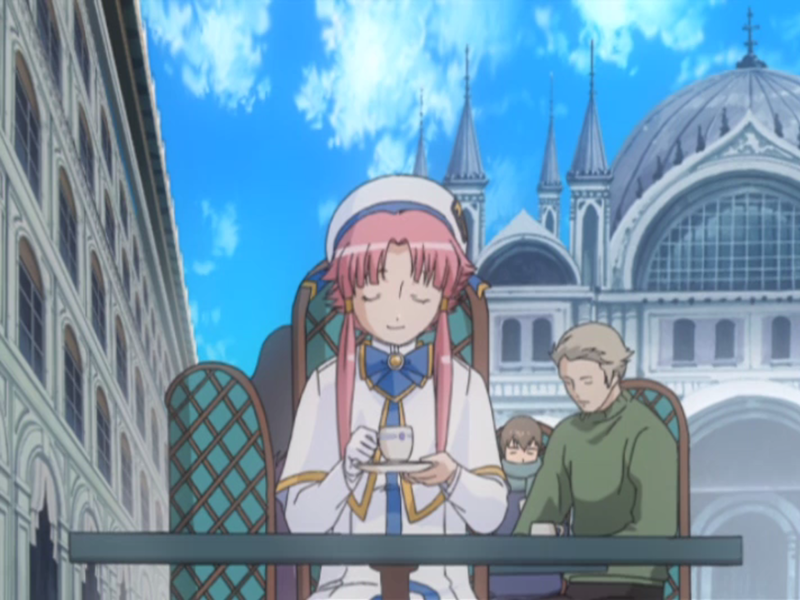 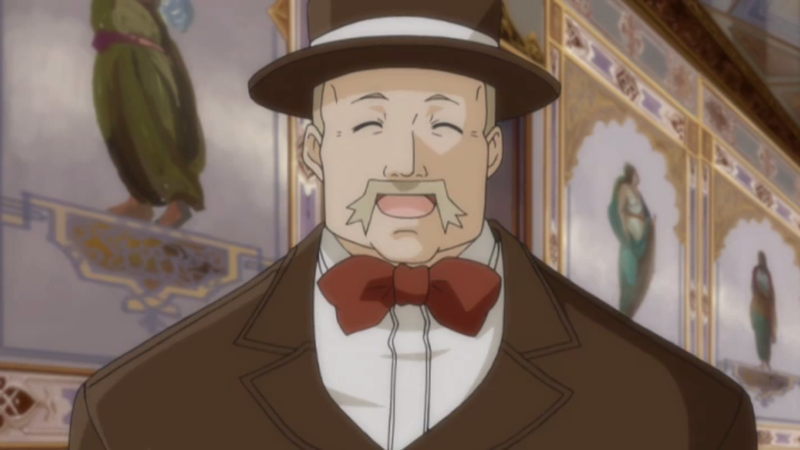 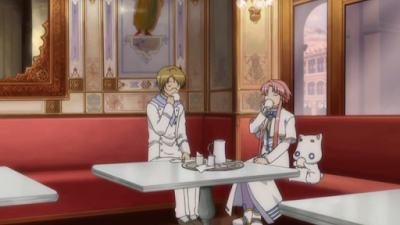 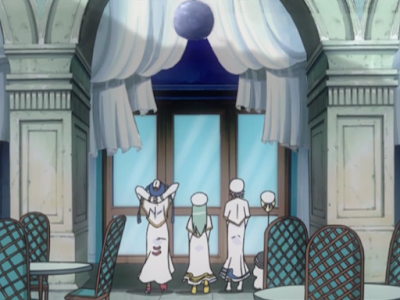 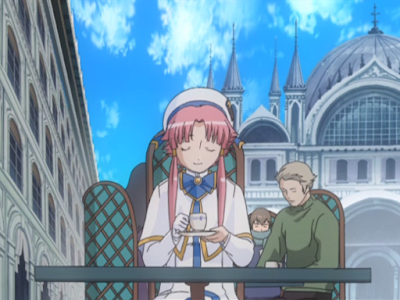 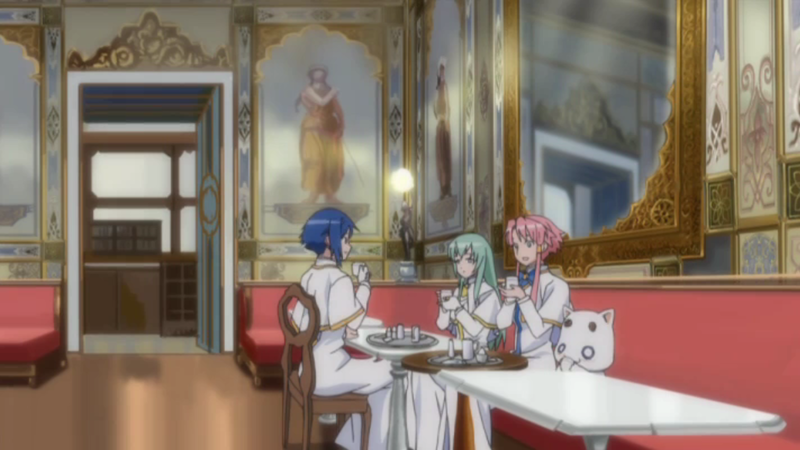 The café is also shown in Aria the Avvenire. When Ai, Azusa and Anya have some tea. 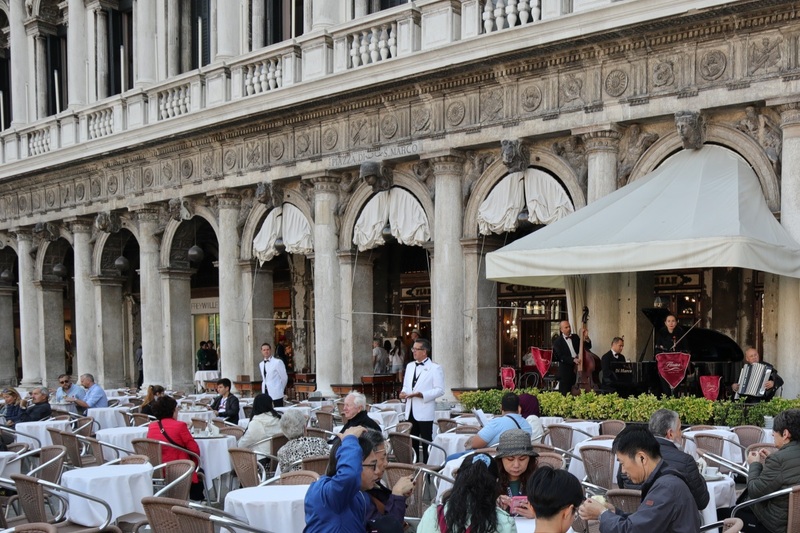 This location was visited on 2018/10/14 and 2018/10/15.